At Atkinson Law Offices, our criminal attorneys have the know-how, the ability, and the courage to challenge the state’s evidence, question its authority, and stand as watchdogs against unlawful governmental intrusion into your life. We love to win. Out of all the practice areas, we chose criminal defense because it is our passion. We want to represent those who have been accused of a crime because we can think of few things as scary as having your reputation and your freedom on the line. When there is so much to lose, there is so much to win. If the state has charged you with a felony or misdemeanor charge, then you need to contact our Boise Criminal Attorneys. We have attorneys who practice exclusively in criminal defense. Dinko Hadzic is an attorney on staff who speaks Bosnian, Croatian and Serbian. Our office also has DUI attorneys. Criminal cases begin when someone accuses you of a crime. When that happens, the police will likely want to speak with you. Before you talk to the police, you should consider speaking to a Criminal Defense Attorney. Do not speak to the police alone. After the police complete their investigation, they will file charges. Once the police charge you with a crime, you should call a criminal defense attorney to discuss the charges. The attorney will be able to advise you of your rights. He or she will also be able to tell you the possible consequences of the charges. Finally, an attorney can help you minimize the damage by preparing early. Once you are charged, you will likely be arrested, unless it’s a minor crime. Sometimes the arrest and criminal charge occur at the same time. Sometimes you are first charged, then arrested. If the police arrest you, the court will set a bond on the case. Sometimes the bond is already set when the police arrest you. You can immediately post the bail to bond out. Sometimes it is not set until your first appearance in court. If the court sets it at your first hearing, your Criminal Defense Attorney can assist you in getting the bond set as low as possible. The arraignment is your first court appearance. If you bonded out, you would appear out of custody. If you are in jail, you would appear in custody. The court will often hear bond arguments at this time. Your Criminal Attorney can represent you at this time in attempting to get a low bond. The Court will consider the perceived flight risk and perceived threat to the community you represent. The court will then set the bond accordingly. The Court will notify you of your legal rights and the possible consequences of your charges. In a misdemeanor case, your Criminal Defense Attorney will advise you to plead “not guilty” at the arraignment. If you do so, the judge will set the matter for a pretrial conference and a jury trial. The pretrial conference will be your first hearing where your Criminal Defense Attorney will attempt to settle the matter with the state prosecutor. This hearing is also to discuss current standing of the case and whether it is ready for trial. If you and your Criminal Defense Attorney are unable to resolve the matter with the state prosecutor, then you will have to go to trial. A misdemeanor jury trial is a hearing in which six jurors are called to sit in judgment on your case. They will have to decide whether the state has proven every element of the charges beyond a reasonable doubt. Their decision must be unanimous. If the jury finds you guilty, or if you enter a plea agreement and plead guilty, the court will set the matter for a sentencing hearing. A sentencing hearing is a court hearing in which a judge decides what to do with you. In a misdemeanor, he could sentence you to jail, probation, monetary penalties, classes, license suspensions, etc. After your arraignment, the court will set the case for a preliminary hearing. A preliminary hearing is a hearing in which a judge decides whether there is probable cause for the state to bring the charges against you. In most cases, the judge finds probable cause. It is a low standard. However, sometimes you can get an offer from the prosecutor at this stage to waive the hearing. This offer will stay on the table unless you enter a “not guilty” plea. If you enter a plea of “not guilty,” the court will set the matter for a pretrial conference and jury trial. If you enter a plea of “guilty,” the court will set the matter for a sentencing hearing. A pretrial conference is a hearing in which the parties meet with the court to go over any pretrial issues. The court asks about any settlement agreements and whether any legal motions need to be heard by the court. And the court sees if the matter is going to be ready for the trial. If the parties have come to a settlement agreement, the defendant can enter a plea at this time under that agreement. A felony jury trial is a hearing in which twelve jurors are called to decide whether the state can prove their case beyond a reasonable doubt. Your criminal defense attorney will represent you at this hearing. The jury’s decision must be unanimous. If the jury determines that the state has not met their burden, then the matter is dismissed. If they decide that the state did prove their case, then the case is set for a sentencing hearing. If a defendant is found guilty at a jury trial, or if he or she enters a guilty plea under a plea agreement, the court will set the matter for a sentencing hearing. Before the sentencing hearing, the court will order the defendant to undergo a presentence investigation. A presentence investigation is an investigation in which a probation officer puts together a report on the defendant. The officer investigates the defendant’s family history, criminal history, mental health history, (current and past) relationships, substance abuse history, etc. All this information is collected and presented to the court for the court’s consideration before the sentencing hearing. Your Criminal Defense Attorney can assist you in helping present yourself to the investigator. A sentencing hearing is when the court determines what to do. A sentence can include, prison, jail, probation, treatment, fines, etc. Possible penalties depend upon the type of charge, the offender’s characteristics, criminal history, employment, etc. The court is also interested in whether the defendant has expressed remorse, acceptance of responsibility, etc. Your Criminal Defense Attorney will argue to the court on your behalf. 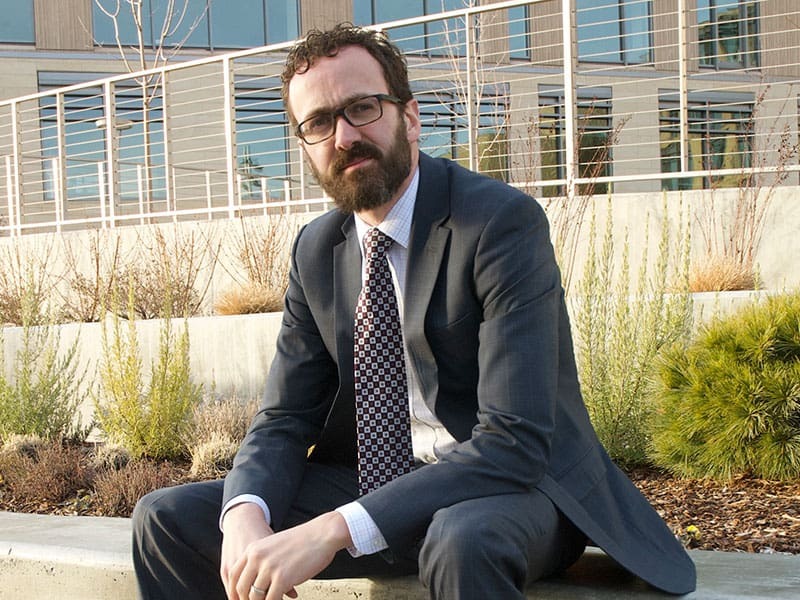 Craig Atkinson and Dinko Hadzic are our office’s Boise Criminal Defense Attorneys. Both have 5 stars on attorney rating site Avvo, along with high ratings and reviews across the Internet. Do not postpone speaking with a Lawyer about your case. There are deadlines and cutoffs in your case that you cannot afford to miss. Our attorneys are available to handle cases anywhere in Idaho. If you are seeking a Criminal Defense Attorney, call Atkinson Law Offices today, and schedule a same-day consultation. See what our Boise Criminal Attorneys can for you.